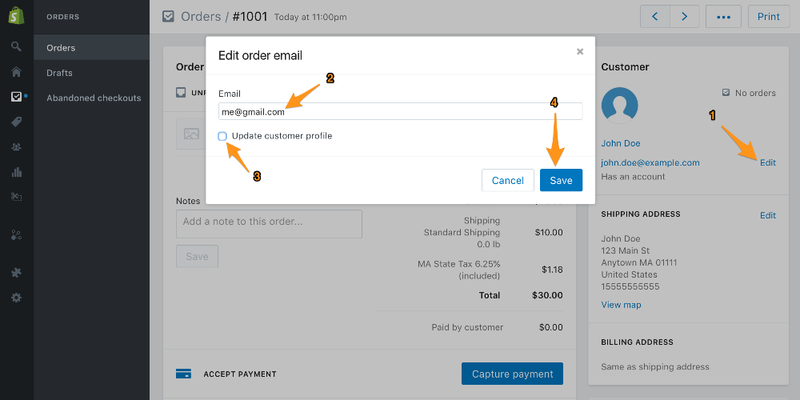 Follow these instructions if you would like the product options that the customer selected to show in the confirmation emails that are sent out after each order. This is the email that is sent automatically to the customer after they place their order. Click "Save"! 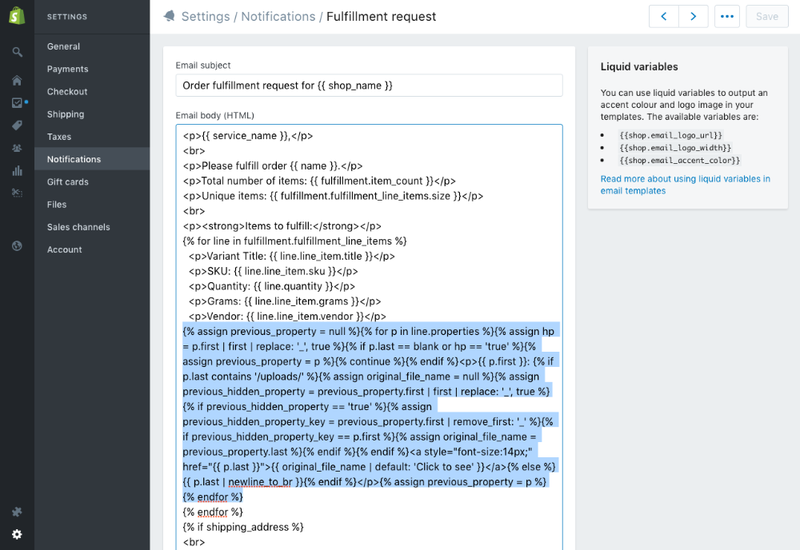 You can repeat a similar process for any of the other notification templates if you'd like to include the customizations in them as well. You can also preview the order confirmation email to confirm that the above changes were made correctly. This is the email that is sent to order notification subscribers (e.g. you the store owner) when a customer places an order. Click "Save"! You can repeat a similar process for any of the other notification templates if you'd like to include the customizations in them as well. This is the email that is sent to custom fulfillment service emails when an order is fulfilled. Note: This step is not necessary in the most recent version of the files. Feel free to skip to step 4 if you don't see the below code in your template file. 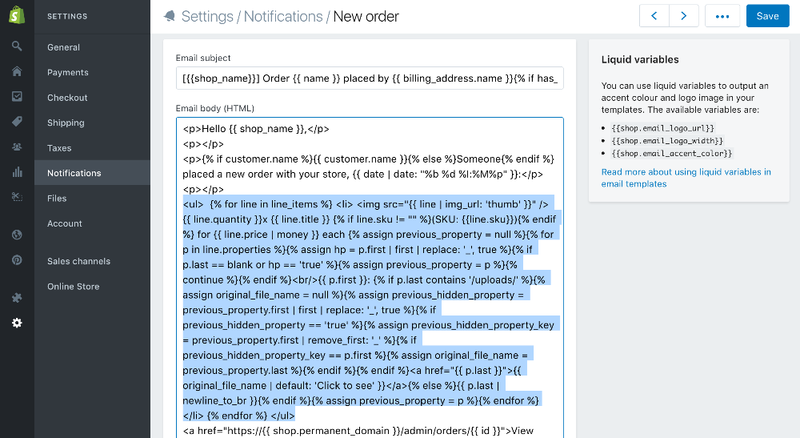 Although the Shopify Admin does have a "Preview" and "Send test email" action on the notification templates, these aren't super useful when previewing the changes made above for Product Customizer compatibility. 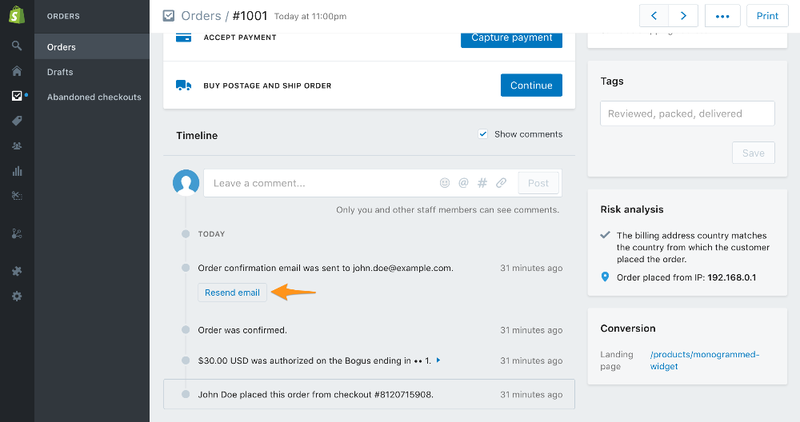 This is due to the fact that the Shopify notification previews don't include any item customizations like the ones added by Product Customizer. 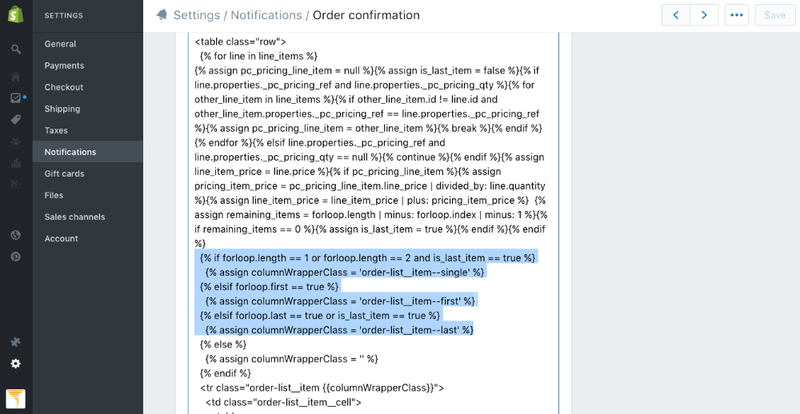 The Shopify Admin notification preview can at least confirm that there are no major HTML/Liquid errors with the notification template. 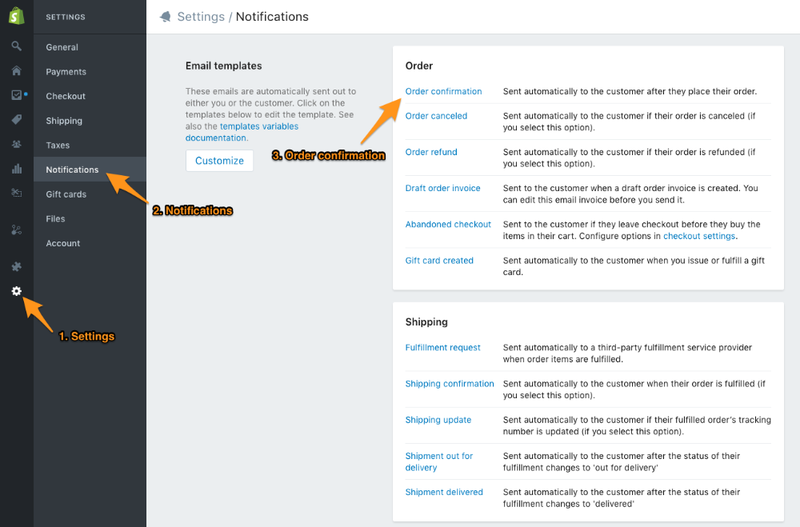 Once you've received the notification and are happy with it, don't forget to change the order email back to the original noted in step 2 above!